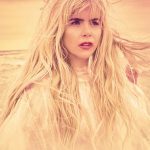 Paloma Faith – one of the most successful British female artists of the last decade – has been announced as the headliner for Splendour this year, with chart-topping indie rockers The Charlatans and punk-era legends The Stranglers also amongst the big names added to its special 10th anniversary. We have one pair of standard tickets to giveaway to the award-winning festival set in the stunning deer park of Elizabethan mansion Wollaton Hall, Nottingham on Saturday 21 July. Indie rockers The Charlatans are still achieving fresh career highs almost three decades since bagging their first number one album; influential quartet The Stranglers have an incredible 17 top 40 albums to their name; internationally acclaimed music artist and former Soft Cell frontman Marc Almond; Björn Again; Sophie Ellis-Bextor; Embrace and rising Nottingham star Ady Suleiman, plus many more, will also be performing across three stages. With children under 11 getting in free, Splendour promises a great family summer day out with plenty to enjoy including the free kids’ area with hands-on activities and entertainment taking place throughout the day, as well as Gem 106’s extremely popular Weekend Anthems silent disco. Across the park, local fringe talent and a laugh out loud lineup on the Comedy Stage adds to the festival vibe. 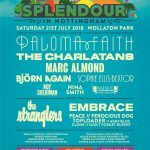 A standard ticket to Splendour is £53.90*, coming down to £42.90* when the Nottingham city residents discount is applied. Tickets for Nottingham city residents aged 11-17 are £22*. VIP packages are also available. Visit www.splendourfestival.com. *Includes booking fees. Sign up to the mailing list to be the first to hear about Splendour news: www.splendourfestival.com/mailing-list. Like ‘@splendourfestivalUK’ on Facebook and follow ‘@SplendourFest’ on Twitter and Instagram, using the hashtag #SplendourFest.